Chief of the Los Angeles P.D. William Joseph Bratton CBE (born October 6, 1947) is an American law enforcement officer and businessman who served two terms as the New York City Police Commissioner (1994–1996 and 2014–2016). He has previously served as the Commissioner of the Boston Police Department (BPD) (1993–1994) and Chief of the Los Angeles Police Department (LAPD) (2002–2009). Bratton began his police career at the Boston Police Department before becoming Police Commissioner in New York City, where his quality-of-life policy has been credited with reducing petty and violent crime. He was recruited to lead the Los Angeles Police Department in 2002 at a time when the LAPD was struggling to rebuild trust after the previous decade's Rodney King videotaped beating, Los Angeles riots, O.J. Simpson murder case's perjury by former LAPD detective Mark Furhman and Rampart scandal, and presided over an era of reform and crime reduction. Bratton has served as an advisor on policing in several roles, including advising the British government. In January 2014, Bratton returned to the post of Police Commissioner in New York City, and served until September 2016. Bratton is from the Dorchester neighborhood of Boston, Massachusetts. He attended Boston Technical High School, graduating in 1965. From there, he served in the Military Police Corps of the United States Army during the Vietnam War. Bratton returned to Boston in 1970 to start a police career in the Boston Police Department, and was sworn in as an officer in October 1970. He was promoted to sergeant in July 1975 and to lieutenant in March 1978. While serving as a Boston Police Officer, Bratton earned a Bachelor of Science in Public Service/Public Administration in 1975 from Boston State College (later absorbed by the University of Massachusetts-Boston). In October 1980, at the age of 32 and ten years after his appointment to the BPD, Bratton was named as the youngest-ever Executive Superintendent of the Boston Police, the department's second highest post. He was dismissed as executive superintendent after he told a journalist that his goal was to be the Police Commissioner. He was reassigned to the position of Inspector of Bureaus, a sinecure which was responsible for liaison with minority and LGBTQ communities. He was later brought back into police headquarters to handle labor relations and 9-1-1 related issues. Between 1983 and 1986 Bratton was Chief of Police for the Massachusetts Bay Transportation Authority, following which he became Superintendent of Boston's Metropolitan District Commission Police. Bratton was Superintendent in Chief of the Boston Police Department from 1992 until 1993, then he became that city's 34th Police Commissioner. He holds the Department's highest award for valor. Bratton became the chief of the New York City Transit Police in 1990. In 1994, Bratton was appointed the 38th Commissioner of the New York City Police Department (NYPD) by Mayor Rudy Giuliani. He cooperated with Giuliani in putting the controversial broken windows theory into practice. He introduced the CompStat system of tracking crimes in New York City. Critics have argued that CompStat has created perverse incentives for officers to allow crimes to go unreported, and has encouraged police brutality, citing that complaints by citizens that involved incidents where no arrest was made or summons was issued more than doubled during the Giuliani administration. Bratton resigned in 1996, while under investigation by the Corporation Counsel for the propriety of a book deal that he signed while in office as well as accepting multiple unauthorized trips from corporations and individuals. These offenses were generally considered minor. Front and center were alleged personal conflicts with Giuliani, partly due to Giuliani's opposition to some of Bratton's reforms and partly due to Giuliani's belief that Bratton was getting more credit for the reduction in crime than Giuliani. The experiences of Bratton and New York Deputy Police Commissioner Jack Maple were used as the inspiration of the television series The District. Bratton worked as a private consultant with Kroll Associates, also known as LAPD's Independent Monitor, until his appointment by the Mayor of Los Angeles James Hahn as the LAPD's 54th Chief of Police in October 2002. Bratton was one of three candidates recommended to Hahn by the Los Angeles Police Commission under Commission President Rick J. Caruso. Under Bratton's tenure, crime within the city dropped for six consecutive years. On June 19, 2007, the Los Angeles Police Commission reappointed Bratton to a second five-year term, the first reappointment of an LAPD chief in almost twenty years. Bratton has been criticized for his extensive travel; in 2005, he was out of town for a full third of the year on both official and personal business. In March 2009, Councilman Herb Wesson proposed an amendment to the City Charter, allowing Bratton to serve a third consecutive term as Police Chief. On September 11, 2009, he was awarded with the honorary title of Commander of the Most Excellent Order of the British Empire by Queen Elizabeth II "in recognition of his work to promote cooperation between US and UK police throughout his distinguished career". On August 12, 2011, Bratton said he was in talks with the British government to become an adviser on controlling the violence that had affected London the prior week. He said he received a phone call from U.K. Prime Minister David Cameron, and that he would continue speaking with British officials to formalize an agreement. Bratton was approached by British Prime Minister David Cameron to become the new Metropolitan Police Commissioner in July 2011, but Theresa May and the Home Office said that the commissioner was required be a British citizen. Bratton instead was offered an advisor role to the British government, which he accepted in August 2011. On December 27, 2012, he was hired as a consultant for the city of Oakland, California. On December 5, 2013, New York City mayor-elect Bill de Blasio named Bratton as New York City's new Police Commissioner to replace Raymond Kelly. The New York Times reported that at Bratton's swearing in on January 2, 2014, the new Police Commissioner praised his predecessor Raymond Kelly, but also signaled his intention to strike a more conciliatory tone with ordinary New Yorkers who had become disillusioned with policing in the city: "We will all work hard to identify why is it that so many in this city do not feel good about this department that has done so much to make them safe – what has it been about our activities that have made so many alienated?" He stepped down in 2016 . Bratton co-founded and served as CEO of Bratton Technologies,[when?] a venture backed company that operates BlueLine, a global law enforcement professional network modeled after LinkedIn. After stepping down from his post in Los Angeles, in 2009, he moved back to New York City to take a position with private international security firm Altegrity Risk International. He became the chairman of Kroll, a corporate investigations and risk consulting firm based in New York City on September 16, 2010. In November 9, 2012, Bratton stepped down as Chairman and was retained by Kroll as a Senior Adviser. In 2010 he was sworn in as a new member of the Homeland Security Advisory Council. Bratton joined Crest Advisory on November 5, 2012, a company that advises prospective police and crime commissioners (PCCs), criminal justice agencies and the security sector. In May 2018, Bratton was appointed to the Board of Directors  for Mission Ready Services, a public company who specializes in equipping military personnel, first responders and law enforcement agencies with personal protective equipment. The central theory behind broken windows policing is that low-level crime and disorder creates an environment that encourages more serious crimes. Bratton and Kelling also argue that low-level disorder is often a greater worry to residents than major crimes, and that different ethnic groups have similar ideas as to what "disorder" is. He and Kelling advocate both effective enforcement and lenient punishment for minor crimes. Citing fare evasion as an example, they argue that the police should attempt to catch fare evaders, and that the vast majority should be summoned to court rather than arrested and given a punishment other than jail. The goal is to deter minor offenders from committing more serious crimes in the future and reduce the prison population in the long run. Bratton also supports community policing, describing it as being related to broken windows policing. He and Kelling stress the need for the police to collaborate with other government agencies and a variety of community groups, writing that "many of the challenges to public order confronting cities and communities cannot be solved by simple police action." Bratton has stated that racial tensions and distrust of the police are hindrances to reducing crime. Bratton's solution in Los Angeles and New York City was to make police forces more ethnically diverse and "reflective of the ethnic make-up of their cities". Bratton argues that stop-and-frisk is a useful tool that should be used in moderation. Use of stop-and-frisk was increased during his first term as NYPD Commissioner and dramatically reduced during his second term. 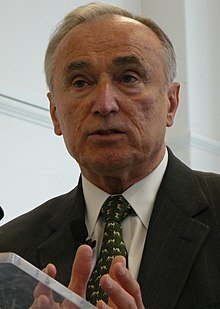 Bratton supported reducing it on the grounds that it was causing tension between the police and minority groups and that it was less needed in an era of lower crime. In 1998, Random House published his memoir Turnaround: How America's Top Cop Reversed the Crime Epidemic, written with co-author Peter Knobler. It was named a New York Times Notable Book of the Year. Bratton holds a Bachelor of Science in Law Enforcement from the University of Massachusetts Boston and was a research fellow at the John F. Kennedy School of Government, Harvard University. Bratton has been married four times. He is currently married to attorney and TruTV analyst Rikki Klieman, and has one son, David, from a prior marriage. Bratton was previously married to attorney and Boston Police spokeswoman and newscaster Cheryl Fiandaca. Bratton addressed the Roger Williams University graduating class at the May 22, 2010 commencement ceremony and also received an honorary degree during the ceremony. He also received an honorary degree from New York Institute of Technology. After over 40 years career in policing, Bill Bratton retired in 2016. As of 2018, he is currently the Executive Chairman of Teneo Risk Holdings and is on the Board of Directors for public company Mission Ready Solutions. ^ Mancusi, Peter (September 19, 1980). "Bratton's confident: Boston's new police superintendent says, 'I'll have my detractors, but I know I can handle this job. I have no doubt about it.'". The Boston Globe. ^ Turnaround: How America's Top Cop Reversed the Crime Epidemic. ^ Carlos Granda (August 12, 2011). "LAPD reforms provide example for other cities". ABC News. ^ a b "US 'supercop' Bill Bratton says riot arrests not only answer". BBC News. August 13, 2011. ^ Goodman, J. David (December 5, 2013). "De Blasio to Name Bratton as New York Police Commissioner". The New York Times. Retrieved December 5, 2013. ^ Goodman, J. David (August 2, 2016). "William Bratton, New York Police Commissioner, Will Step Down Next Month". The New York Times. Retrieved August 2, 2016. ^ a b Bratton, Bill (August 14, 2011). "American 'super cop' called in by Cameron reveals how to halt the hoodlums: 'I don't do it... but I can tell you how to hit gangs'". Daily Mail. London. ^ a b Batty, David (August 13, 2011). "UK riots: police should tackle racial tension, says 'supercop' Bill Bratton". The Guardian. London. ^ "'Supercop' advises PM over riots". The Sun. London. August 13, 2011. Reacting to the riots, Mr Bratton said British police needed to focus on calming racial tensions by working more with community leaders and civil rights groups. ^ Swaine, Jon (August 13, 2011). "UK riots: supercop's battle order for tackling Britain's street gangs". The Daily Telegraph. London. But in keeping with his desire to nip problems in the bud, he is clear that the repercussions for those who step out of line must be severe, especially among younger offenders. 'Very early on in people's lives you have to have them understand that abhorrent behaviour, anti-social behaviour, will not be tolerated,' he said. ^ "University of Massachusetts Boston". www.umb.edu. Retrieved September 13, 2018. ^ "With Subway Crime Up, Transit Police Get a New Chief". The New York Times. April 2, 1990. ^ "Transcript". This American Life. Retrieved December 9, 2014. ^ "THE BRATTON RESIGNATION: BEHIND THE SCENES;Squabbling Behind the Amicable Departure". The New York Times. March 27, 1996. ^ "Police Commission Letter to Mayor Hahn Recommending Three Finalists: William Bratton, Art Lopez, John Timoney". Los Angeles Community Policing. September 19, 2002. Retrieved April 2, 2012. ^ Rubin, Joel; Winton, Richard (January 1, 2009). "Crime continues to fall in Los Angeles despite bad economy". Los Angeles Times. ^ "LAPD Chief Bratton Honored by Queen Elizabeth II". LAPD Blog. September 11, 2009. Retrieved April 2, 2012. ^ Lawless, Jill (August 12, 2011). "Thousands of police patrol Britain's streets, nearly 600 charged in riots". The Globe and Mail. Toronto. Retrieved August 12, 2011. ^ Whitehead, Tom (August 5, 2011). "David Cameron's US 'supercop' blocked by Theresa May". Daily Telegraph. London. ^ "Oakland hires former Los Angeles police chief as consultant". ABC7 San Francisco. Retrieved December 9, 2014. ^ Kuruvila, Matthai (January 23, 2013). "Oakland hires police consultant Bratton". The San Francisco Chronicle. ^ "BlueLine Wants to Be a Facebook for Cops". Mashable. October 29, 2013. Retrieved December 9, 2014. ^ "Secretary Napolitano Swears in Homeland Security Advisory Council Members". United States Department of Homeland Security. October 18, 2010. Retrieved January 26, 2017. ^ "Mission Ready Announces Appointment of Former NYPD Commissioner to Board of Directors". Retrieved May 2, 2018. ^ "'Zero tolerance' advice to PM". Sydney Morning Herald. August 14, 2011. ^ a b c d e William Bratton, George Kelling (December 2014). "Why we need Broken Windows policing". City Journal. Retrieved December 18, 2017. ^ "Bill Bratton seeks good community relations to make stop-and-frisk work". The Guardian. December 7, 2013. Retrieved December 19, 2017. ^ "Roger Williams University to Confer more than 1000 Degrees in 2010 Commencement". Roger Williams University. Retrieved April 2, 2012. Wikimedia Commons has media related to William Bratton.